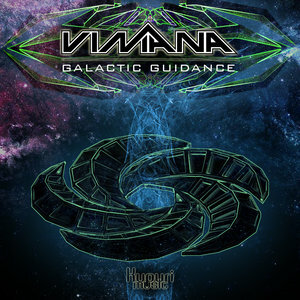 Kupuri Music is proud to present Galactic Guidance, the third release by Vimana (Mariano Tur), a psytrance project from Mexico City. This is a magical sound-ride through the mystical sonic realms of the galactic mind. Exploding with full-on energy and vibrant melodic colours, this release is set to active dance floors around the world. Track 1 co-produced by Tomás Boils. Track 2 originally written and produced by Anders Nilsson and Linus Eriksson. Track 1 mastered by Ovnimoon; tracks 2 and 3 mastered by Tron. Artwork by Felipe Zlatar. MP3 Download | FLAC Download | WAV Download · Download count: 10,890. Very good mexican stuff, I want more produtions from you guys. I’m a new traveller through the electronic music, and that releases are the best i heard so far. Thank you for share!